This was the only Good Beer Week event my partner and I attended without having “warmed up” with a beer or two beforehand. Probably something to do with the fact it had an 11 am start time, after all I’m a writer and not an alcoholic (a phrase that’s perhaps closer to a mantra). We had reached the final day of Good Beer Week and survived. Not only had we survived but we had done it without a single Berocca and barely touched our packet of Asprin. Win! Our last Good Beer Week event was the Boatrocker Palate Cleanser. Over the previous nine days my palate had been worked over and over again, it seemed to me that the title of the event was more challenge than promise. We caught the train and were kindly picked up by taxis that Boatrocker had prearranged, a thoughtful touch for a brewery that was a little way out of the city. Our host for the day was Matt Houghton, co-owner of Boatrocker Brewery, together with the help of his wife Andrea, assistant brewer Matt and friend of the brewery, Sian. 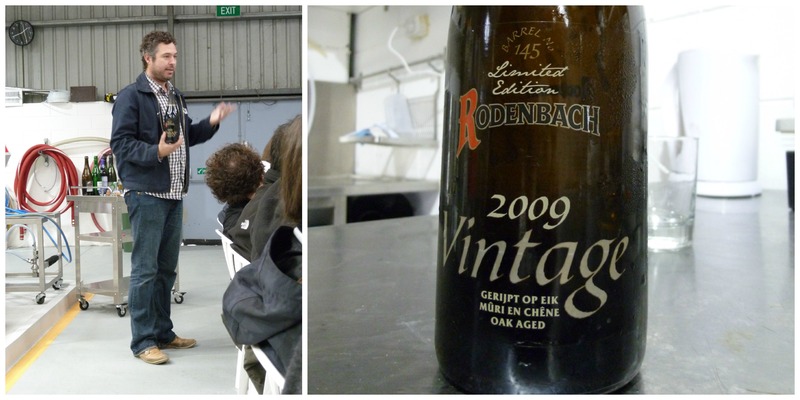 Together they made everyone feel welcome, served up some tasty food and presented us with down right amazing sours. From the delicate to the “deep funk” the journey was like Alice in Sourland through no less than a dozen beers. “Why sour beers?”, you might ask. Why didn’t Boatrocker host an event that featured their beers? 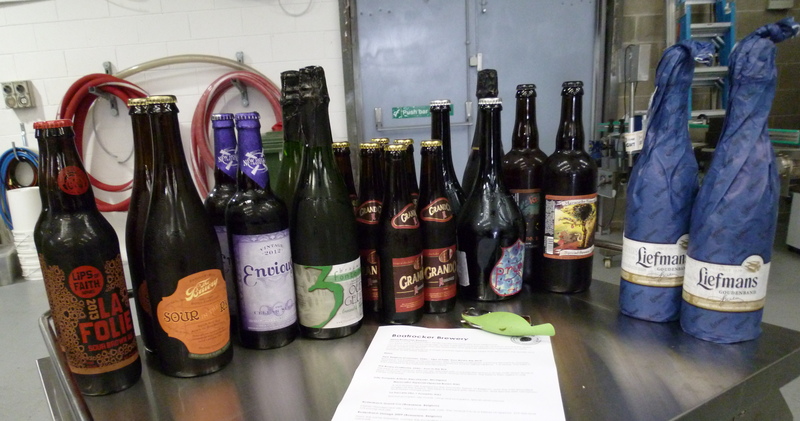 Well, the answer is very simple – Matt wanted to do a sour beer tasting. Matt’s aim for Boatrocker is to produce sour beers, he wants to play with oak aging and whiskey barrels. 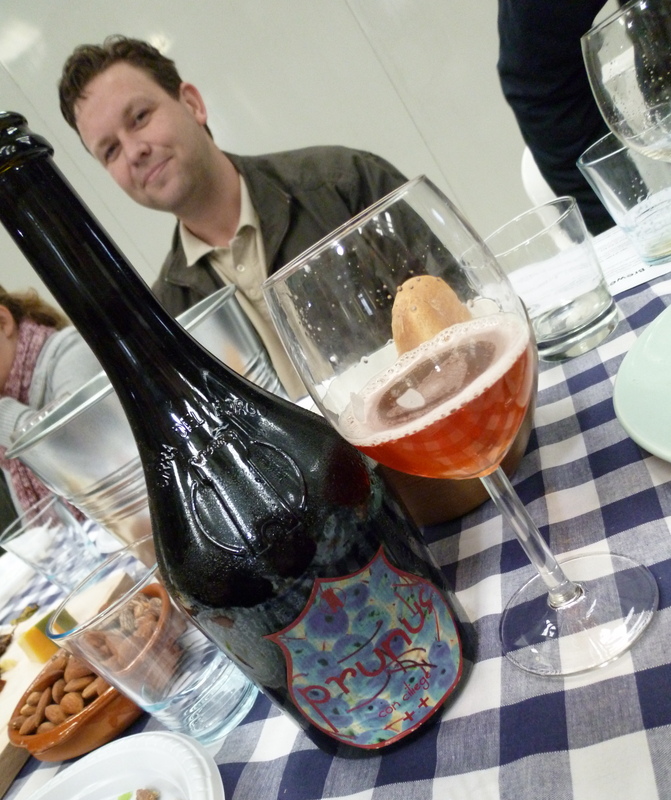 “Sour beers can be the next prosecco”, he said to us and he hopes restaurants will get on board the sour beer train. Matt fell in love with sours whilst backpacking in Belgium with Michael Jackson’s book ‘The Beer Hunter’ firmly in his grip. 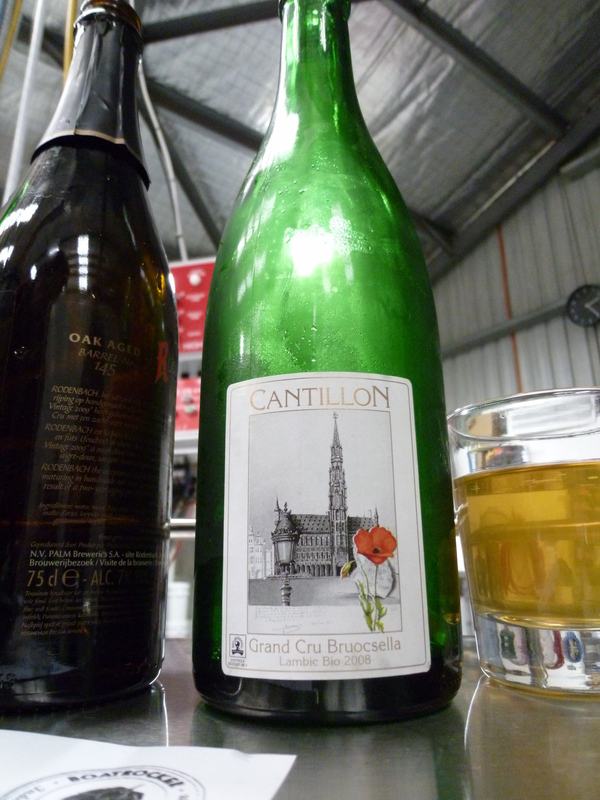 His first sour was served to him at Cantillon Brewery in Belgium, one of the best sour producers in the world. Matt recalls this strange cloudy beer being put in front of him and it completely opened his mind. 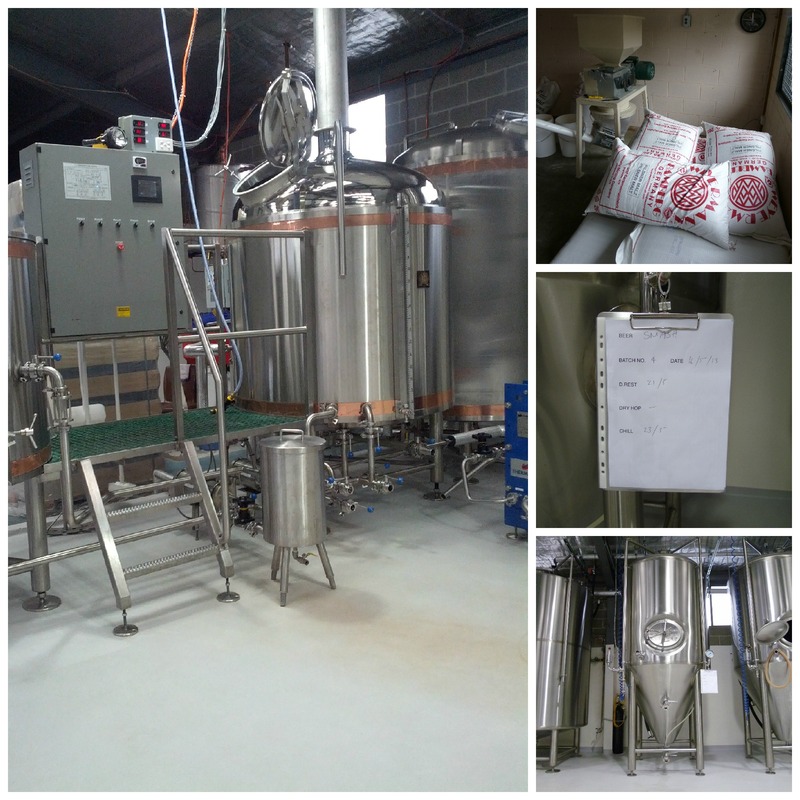 Matt showed us through the new Boatrocker brewery in which they had only been licensed to brew for a couple of weeks. Boatrocker had previously been contract brewed since 2009 at Southern Bay Brewing. We also got a look into the Boatrocker barrel room, currently home to 60 wine barrels. The barrels are all cold stored within a massive coolroom that’s been divided into two parts – one half for kegs and the other a dedicated barrel room. The barrels are French oak from Yearling Station, a Yarra Valley winery and will impart delicate flavours compared to if they had American oak barrels. 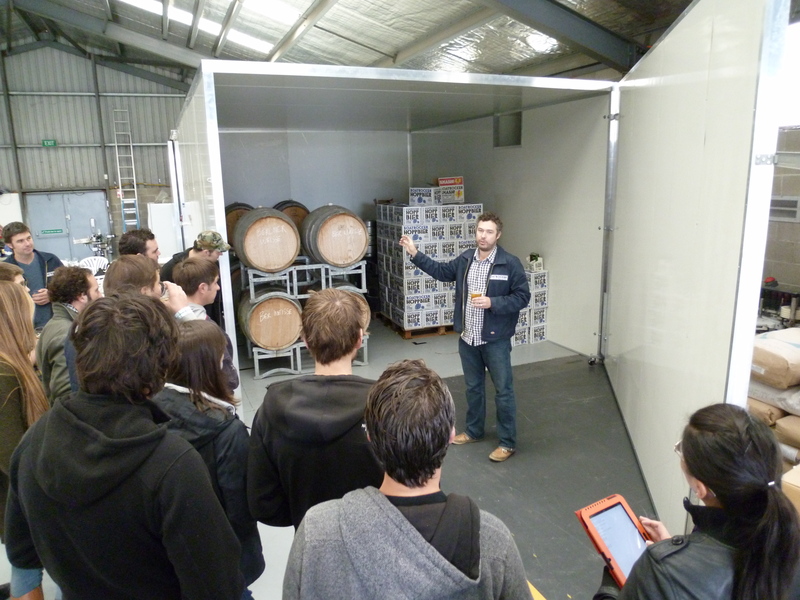 At the time of the event the barrel room was holding a Berliner Weiss and had another couple of months to go. With all this talk of sours it was time to sit down for the journey Matt had prepared. Lips of Faith goes through primary fermentation in stainless steel and secondary fermentation in wood barrels. The primary ferment in stainless would give brewers greater control over everything and perhaps allow less woody characteristics through. It had a delicate sour black cherry taste and light caramel malts. Right there and then I think sour brown ales became my next big beer crush. 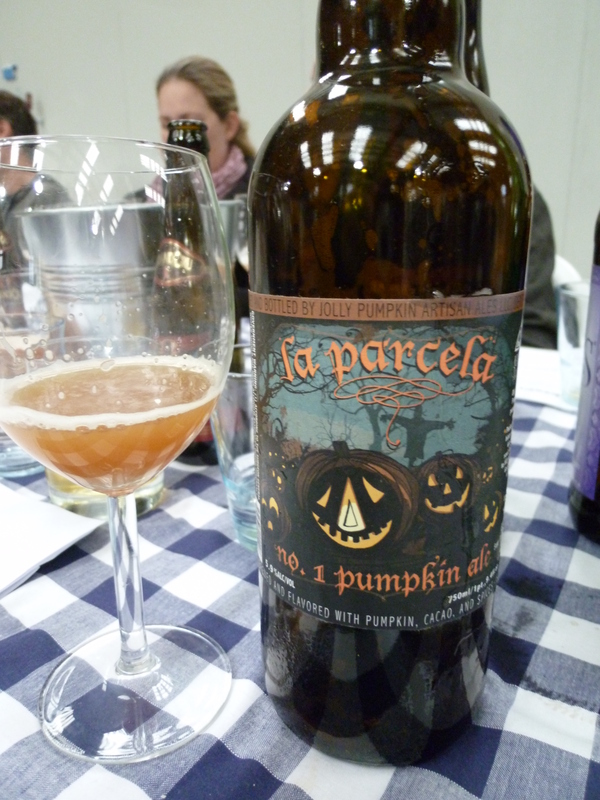 As the name and descriptor suggests this beer is made with lots of rye malt; it’s then aged in oak barrels to finish. The rye gives soft spices like clove and nutmeg. There’s a tangy and warming spice finish, like a nice warm cuddle … but in your mouth, you know? You know. Derek Hales reading the back of the beer. 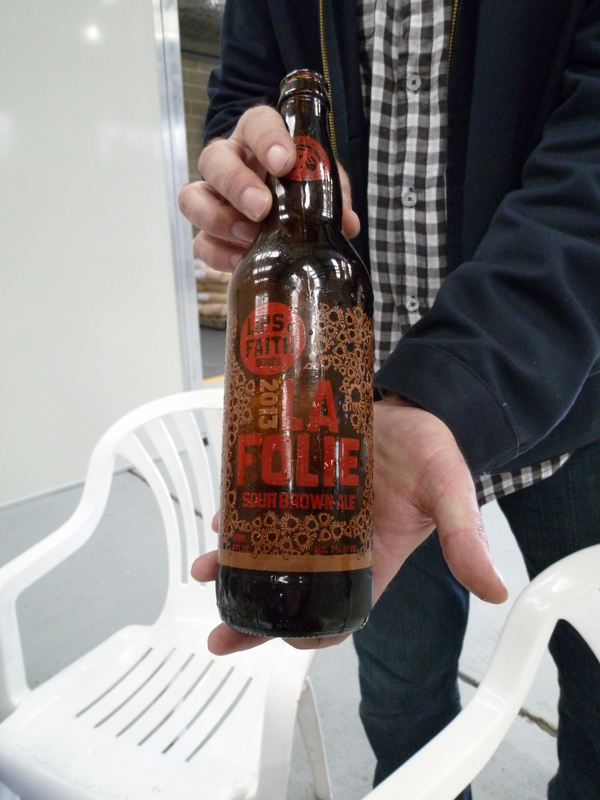 Fresh red berries and something sweety, like toffee, put it on your sour beer shopping list. Brewed using spelt this Kriek had that lovely rosey colour and tasted of bright red cherries with soft tartness. 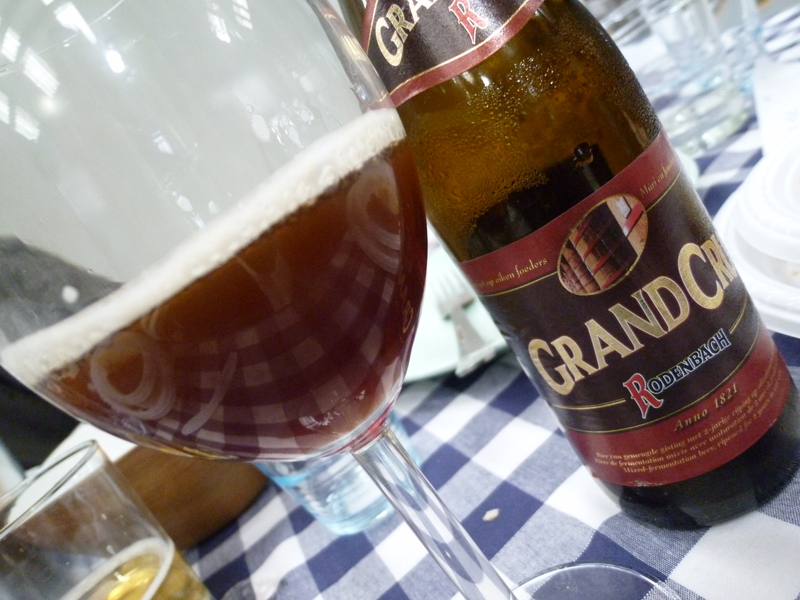 They use big wooden vats for this brew and it is a blend of 33% young red ale with older beer, at least two years old. “A classic, you can’t go wrong”, Matt said as he poured and he wasn’t wrong. Definitely one of my favourites for the day. 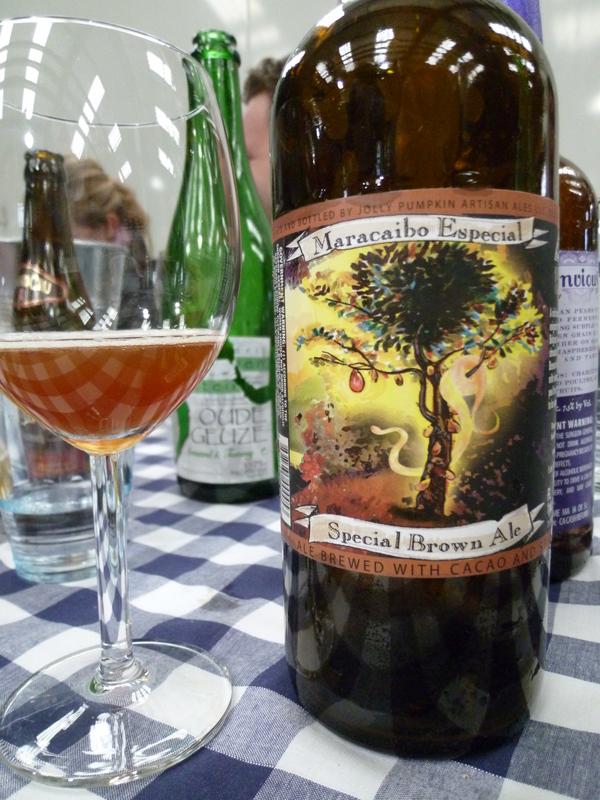 It was spicy sweet with a Christmas cake fruitiness and spices – think cinnamon, think raisins, think a little boozy. 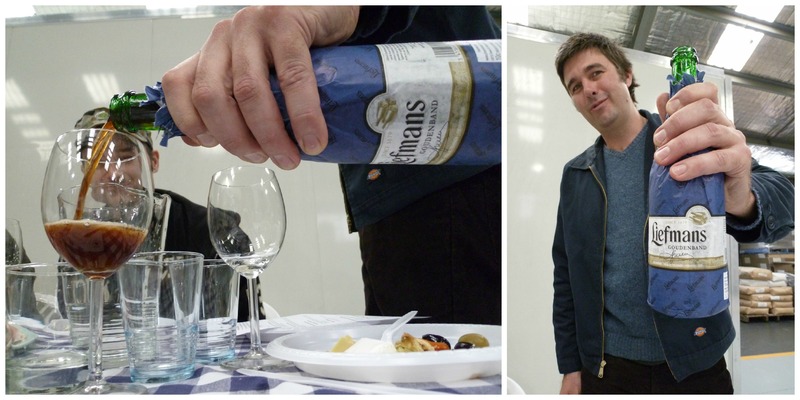 “It smells like a drunken sultana”, I said at the time. The vintage is selected from a single outstanding vat/cask. It had a drying mouth feel, warming sourness and red fruits and maybe even prunes or perhaps something fruiter and sweeter. I struggled to put an exact name to the sweetness outside of “damn that’s nice”. “We are starting to enter the world of deep funk”, Matt said as he introduced this one. 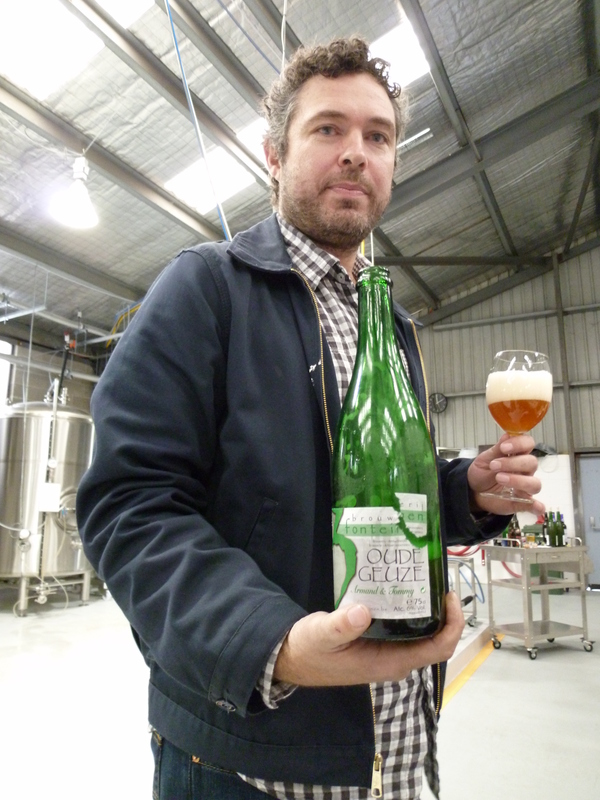 It’s a collaboration brew between Armand Debelder of 3 Fonteinen and Tomme Arthur of Pizza Port/Lost Abbey. 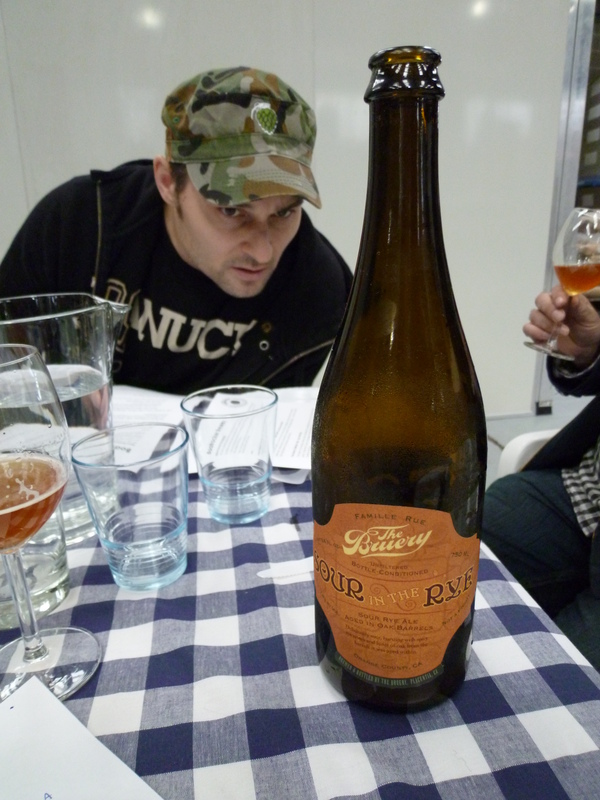 It’s made with four year old Boon Lambic and Armand’s 2008 lambic. “Sour” (how is my excellent note taking? ), “green apricot”, “flat” and “full on”. I forgot to write down “yum”. It smelt like cooked brown sugar with a hint of raspberries. A nice beer but not a stand out among a fairly outstanding line up. Inspired by the brews of Belgian monks, it uses cacao, cinnamon and orange peel – gotta love those monks. 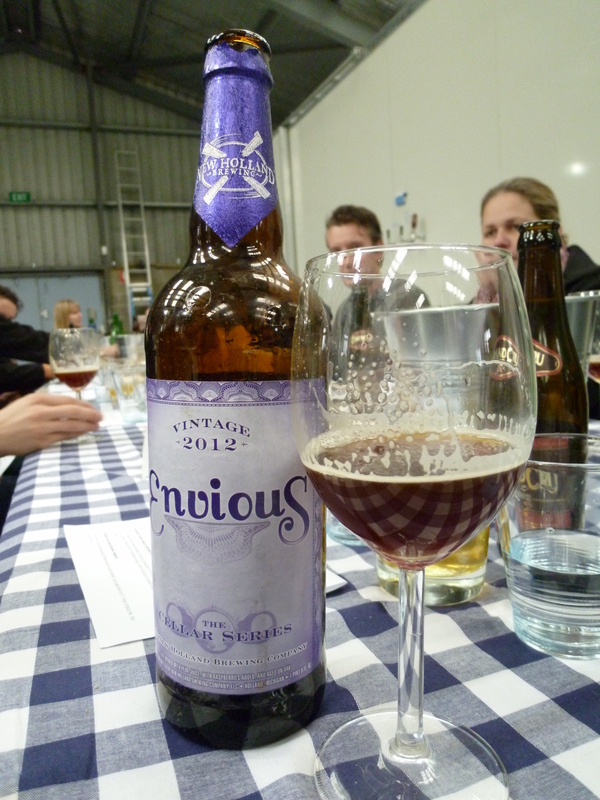 You could certainly taste the spices and it had a nice dry finish with a musty funkiness. It reminded me of a mulled wine with those same spices and it had a distinctive savoury flavour. What an incredible line up of beers, it was so good to delve into sours – a beer style I really enjoy but until this event had only touched the surface of what’s out there. 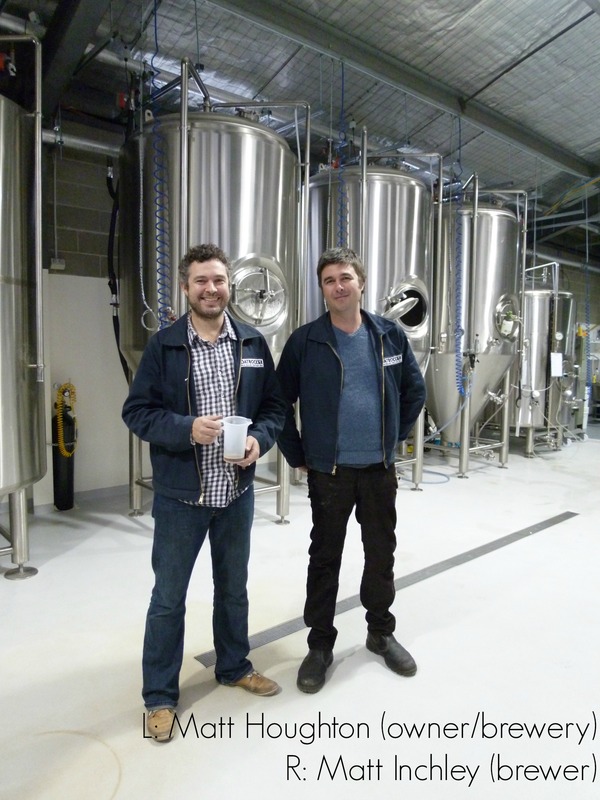 Thank you Matt & Andrea for putting on a great event and for inviting us into the brewery as though it was your home. The gift pack to take home was both delicious (beers and lollies!) and extremely considerate (for including a bottle of water) – it was a pleasure to meet such genuine and passionate people. 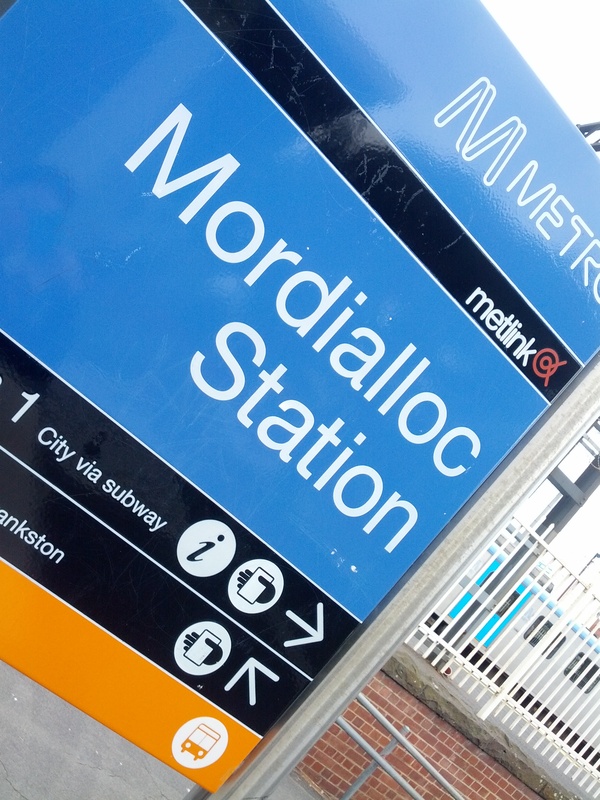 Thank you to Sian for dropping us to St Kilda after the event. Thank you to James Smith and Tiffany Waldron at Good Beer Week and Matt and Andrea at Boatrocker for allowing myself and my partner to go along to this event. Pia, you would love some of the producers in the Pacific NW. One of the guys I’ve been really impressed with is Cascade Barrelworks – they are making sours regulary over 10%. It’s deliciously insane! 🙂 Keep up the good work on the blog, it inspires us to write more! I’m always going to want to try beers described as “deliciously insane”, they sound perfect! Thanks for reading and keep enjoying your travels, it all sounds fantastic!